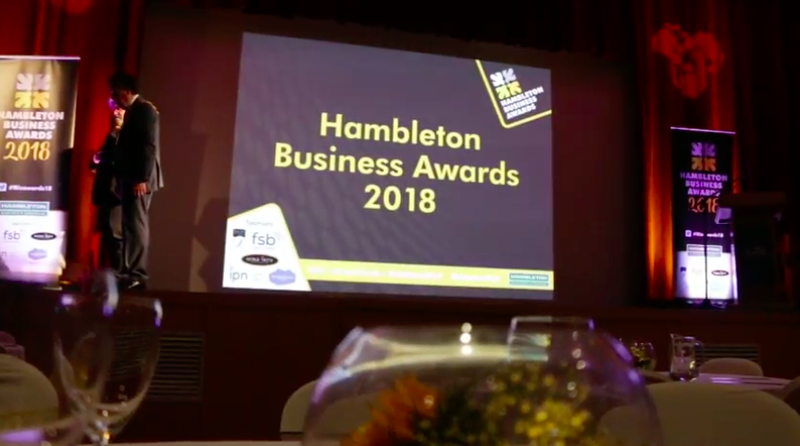 Hambleton District Council have kindly shared the video of its latest business awards held in September in Northallerton. For the third year in a row, Thirsty Thursday was nominated for an award, this time the Vibrant Market Town Ambassador, not one we thought we would win, (bring back the networking award!) but we were were delighted to be part of this annual event for our local businesses. Take a look at the full video of all of the winners and the excellent Mc’ing of the event by Anthony Collins of BBC Radio Tees, sadly not audio of my ‘cartwheeling down Stokesley High Street story’ as featured on the night. Thanks Anthony! We had a great number of Stokesley businesses nominated for the awards in a range of the categories and it was great to see two Stokesley winners of Neue Scheule and Stokesley Rotary Club on the night. Let’s all do it again next year. Thanks as always for all of our networkers for the nominations for the awards, it makes us very proud! See you all at our next event. For more information on when and where, take a look at our future events page, here.